Athens Photo Booths was included in the kids zone for 3 of the UGA gymnastics meets this year. Many families stopped by, grabbed some props, and took some pictures. There were pictures with Hairy Dog, pictures with UGA spirit, pictures with gym poses, and pictures with three generations of gym dogs fans. If you took some pictures at one of these meets, you can download your images in the gallery. Here are some of my favorites! Karen and Marshall got married at Hotel Indigo in Athens, Georgia. The ceremony took place outside in the courtyard; the reception took place in the Rialto Room. The bride and groom’s love for Star Wars spilled over into many of the reception details. They provided their own Star Wars props for the photo booth and even had some TIE fighters and storm troopers join the reception. Here are some of my favorite images from the photo booth that evening. Desserts – Ike & Jane’s and Viva! Blaire and Brendan got married at The Farm at High Shoals in Watkinsville, Georgia. The ceremony took place in the vineyard and the reception took place by the lake. The couple chose the enclosed booth with the gold backdrop. We enjoyed working with Gardenia Floral Design, Oconee Events, Annie’s Video Memories, and Trumps Catering. Here are some highlights from the evening. Katy and Zack got married at Graduate Athens in Athens, Georgia. The reception took place in the ballroom. The couple chose the enclosed booth and silver sequin backdrop for their festivities. The booth was set up in Galleria I, a perfect location for brides that have both rooms for their reception. We enjoyed working with Carefree Celebration, Sara + Logan, Gardenia Floral Design, and MusicMaster DJ. Here are some highlights from the evening. Shea and Justin got married at Graduate Athens in Athens, Georgia. The reception took place in the Foundry (formerly The Melting Point). The couple chose the enclosed booth for their festivities. The bride and groom created most of their props, and their friends used all of them! We enjoyed working with Natalie Bradley Events, Gardenia Floral Design, Blume Photography, and MusicMaster DJ. Here are some highlights from the evening. Natalie and Taylor got married at Cloverleaf Farm in Arnoldsville, Georgia. We set up the open air photo booth in the barn where the dancing also took place. The bride and groom created their own backdrop out of ribbons. Isn’t it beautiful! We enjoyed working with Melissa Pepin Photography, Gardenia Floral Design, and A Divine Event. Here are some highlights from the evening. I’m so excited to share pictures of our newest photo booth with you! This unit is very different in size and shape but is packed with the same excellent quality electronics and parts as our other booth. There is a monitor where you can see yourself during the photo session. It has a built in flash so you know your pictures will be crisp and clear. The touchscreen allows you to choose color or black & white pictures. It can be run as an open air style booth but can also be placed in an enclosure for the same enclosed booth look. The footprint takes up very little space. And it can easily tilt up and down for tall and small guests. If you have any questions about this new booth and set-up please get in touch. These pictures are from the Georgia Museum of Art’s An Elegant Salute to Georgia / Get Your Pucci On event. We’ll be posting more pictures soon! 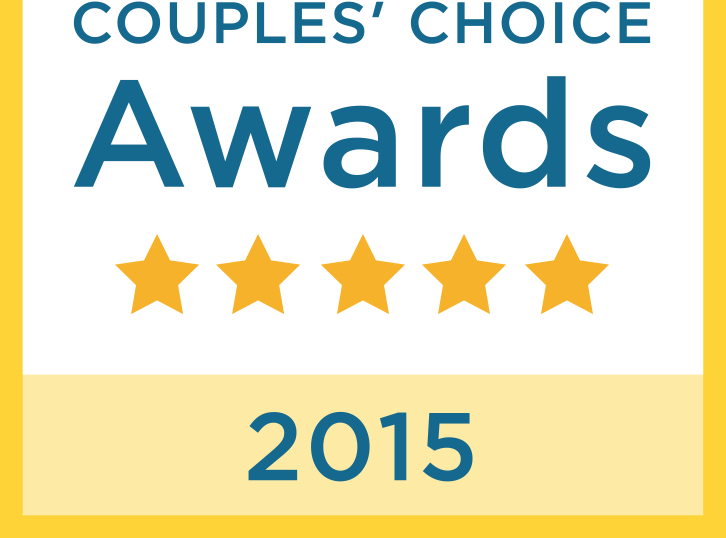 Today we found out we won the WeddingWire Couples’ Choice Award for 2015. This award is determined by reviews from our clients in the past year! The Couples’ Choice Awards recognizes Athens Photo Booths as being among the top 5% of wedding professionals nationwide. We want to thank all of our brides, grooms, and parents for the wonderful reviews they’ve left this past year!